Caring Sterile Abdominal PadsThis combination pad is made to handle heavy drainage, while keeping the wound dry. • Its design diffuses liquid throughout the pad. • Pads are constructed of highly absorbent cellulose. 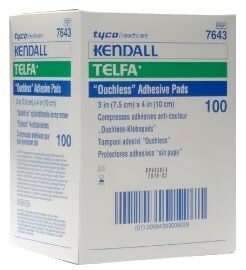 • Multiple dressings with these pads may be used for additional protection against strike through. • Sterile. 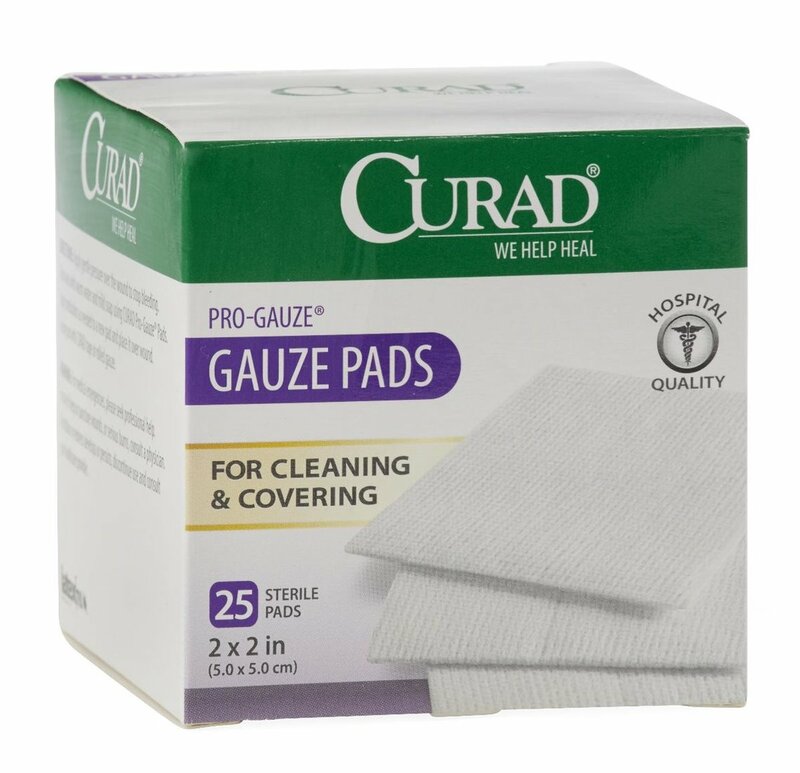 CURAD Sterile Pro-Gauze Pad PAD, PRO GAUZE, 2X2, 25EA / BX CURAD Pro-GauzePads are made from a rayon/polyester non-woven material and an absorbent cellulose layer that quickly absorbs fluids. Resists sticking to the wound. These pads provide softness and light absorbency. Medline Abdominal (ABD) Pads: Medline’s super absorbent abdominal pads feature a soft non-woven outer layer that quickly wicks fluid to a cellulose center. This thick layer of cellulose quickly absorbs and disperses fluids laterally to prevent pooling. Hydrophobic back impedes strike through and all edges are sealed to prevent linting. Sterile 5 x 9. Medline Abdominal (ABD) Pads: Medline’s super absorbent abdominal pads feature a soft non-woven outer layer that quickly wicks fluid to a cellulose center. This thick layer of cellulose quickly absorbs and disperses fluids laterally to prevent pooling. Hydrophobic back impedes strike through and all edges are sealed to prevent linting. Sterile 8 x 10. Medline Abdominal (ABD) Pads: Medline’s super absorbent abdominal pads feature a soft non-woven outer layer that quickly wicks fluid to a cellulose center. This thick layer of cellulose quickly absorbs and disperses fluids laterally to prevent pooling. Hydrophobic back impedes strike through and all edges are sealed to prevent linting. Sterile 8 x 7 1/2. Medline Abdominal (ABD) Pads: Medline’s super absorbent abdominal pads feature a soft non-woven outer layer that quickly wicks fluid to a cellulose center. This thick layer of cellulose quickly absorbs and disperses fluids laterally to prevent pooling. Hydrophobic back impedes strike through and all edges are sealed to prevent linting. Sterile 10 x 30, multi-trauma dressing. Manufacturer: Dynarex (DX) - One of the world leaders in manufacturing and distribution of healthcare equipment and supplies. Most of their products offer a limited lifetime warranty (excluding disposable products). United Health Supply offers a low price guarantee on this product and will beat any online advertised price (including shipping) by 10%. Estimated ground shipping time on this product is 2-5 business days. 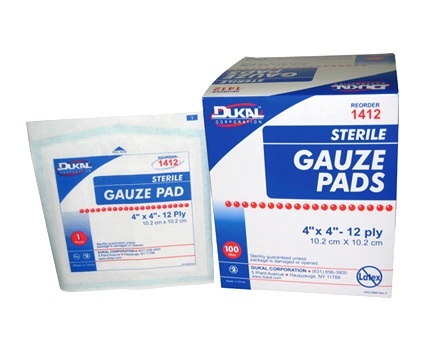 GAUZE PAD, 2 X 2, 12 PLY STERILE. U.S.P. TYPE VII GAUZE. HIGHLY ABSORBENT. PACKED IN HANDY DISPENSER BOXES FOR CONVENIENT HANDLING. INDIVIDUALLY PACKAGED. 100/BX. GAUZE PAD, 4 X 4, 12 PLY, STERILE, 100/PER BOX. 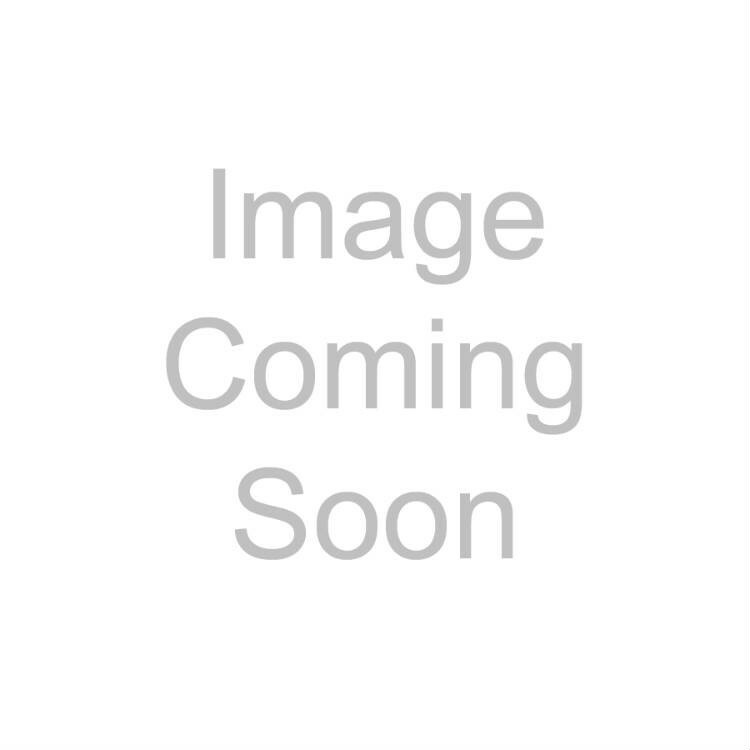 ABD/COMBINE PAD, 8 X 7 1/2, STERILE. DESIGNED FOR USE WHERE HIGH ABSORBENCY IS REQIURED TO HANDLE HEAVY DRAINAGE, KEEP THE WOUNDDRY, AND PROMOTE HEALING. 12 TO A BOX, 20 BOXES TO A CASE. SOLD BY THE CASE OF 240. WEBRIL UNDERCAST PADDING, REGULAR FINISH, STERILE 1S. 3 X 4 YARDS. 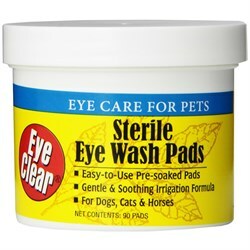 Miracle Care Eye Clear Sterile Eye Wash Pads (90 count) formerly Gimborn Eye wash in easy to use, pre-soaked pads. 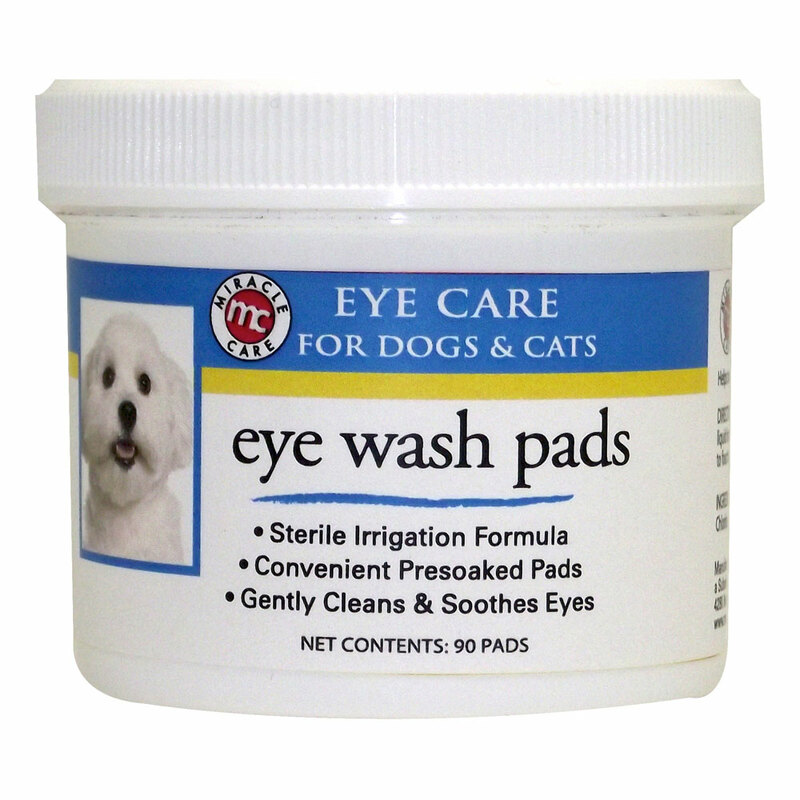 Formula cleanses eyes, eliminates eye stains and breaks down debris. Favorite of groomers and breeders since 1961. For dogs, cats, birds & horses. Made in USA. Highly absorbent cotton fabric bonded on both sides with perforated non-adherent film. Wont disrupt healing tissue by sticking to wound. Sterile. 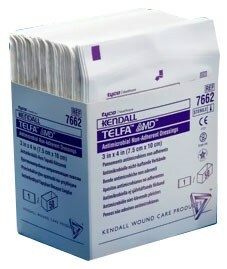 TELFA™ AMD™ Antimicrobial Non-Adherent Dressing is impregnated with PHMB (polyhexamethylene biguanide), a powerful yet safe antiseptic that has a broad range of effectiveness against Gram-positive and Gram-negative microorganisms, including some multi-drug resistant strains such as MRSA. This product provides healthcare facilities with a low-cost, prophylactic method of treatment without changing nursing protocol. Has a perforated mylar film with an absorbent core that makes it ideal for use as a primary dressing for lightly draining wounds. Medline Contro-Bulb Irrigation Syringe features a soft, pliable bulb for maximum control of drawn or expelled volume. Easy to grip and use with only one hand, control-bulb is designed to stand on end, making it excellent for use in clinical settings. It is latex free and has 60 mili-liter volume capacity. Medline Contro-Piston Irrigation Syringe offers uninterrupted action in a single hand technique. This disposable syringe with thumb ring is designed to help minimize hand slippage and prevent contamination. The tip, elongated to facilitate tube feeding, has an extra-large orifice for better removal of clots and mucous shreds. 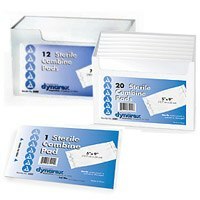 Medline Curad Hospital Quality Sterile Site Pads are designed for larger wounds or increased draining wounds. They are latex free and ‚ provide extra strength and absorbency compared to traditional guaze items. ‚ They help to ‚ reduce the number of changes and provide comfort. These Abdominal Pads feature soft, nonwoven layer for patient comfort, with absorbent fluff filler. They are designed for maximum absorbency and comfort. Medline Caring Abdominal Pads are made to handle heavy drainage, while keeping the wound dry. Its design diffuses liquid throughout the pad. Pads are constructed of highly absorbent cellulose. 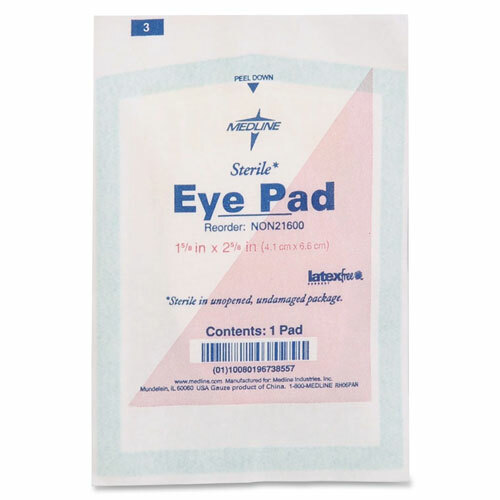 Multiple dressings with these pads may be used for additional protection against strike through. 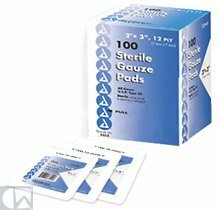 Medline Curad Hospital Quality Sterile Avant Gauze Pads‚ are designed for lightly draining wounds. They are made of rayon or polyester material. They provide extra strength and absorbency compared to traditional guaze items and are latex free. They help to reduce the number of changes and provide comfort. They quickly absorb fluid and provide protection from wound site. Medline Maxi Sanitary Pads are standard pads with maximum absorbency. The adhesive runs the entire length of the pad. It is latex-free, and packaged in bulk for easy distribution. Medline Sterile Bordered Gauze Adhesive Island Wound Dressing is an absorbent dressing constructed with a heavy-duty soaker and conformable, non-woven fabric adhesive backing. This product is the perfect dressing for surgical incisions, superficial lacerations, abrasions, stage I-IV pressure ulcers, partial and full thickness wounds, infected and non infected wounds. Medline Wytex Undercast Padding is constructed of 100 percent pure cotton fibers to provide a soft environment under a hard cast. Wytex is a low linting product with more loft to provide a better feel for the patient. It is latex-free. Medline Super Absorbent Abdominal Pads feature a soft non-woven outer layer that quickly wicks fluid to a cellulose center. This thick layer of cellulose quickly absorbs and disperses fluids laterally to prevent pooling. Hydrophobic back impedes strike-through and all edges are sealed to prevent linting. They are latex-free. Deroyal Covaderm Dressing is a non-adherent general purpose sterile dressing with protective, highly absorbent sterile pad. It features comfortable rounded edges and stretchable fabric tape which comes with non irritating acrylic adhesive and split release liner for easy one-step application. It is used for primary or secondary dressing. Dynarex Self-Adhering Sterile Gauze Pads have a unique knit construction that offers proper compression without constriction. Thye are self adhering that helps the pad to stay in place with minimal taping. These pads are highly absorbent and conform to difficult body contours. Kendall Curity Abdominal Pads are designed for maximum absorbency and comfort. All four edges are sealed to prevent lint residue and leaking. Ideal for mutiple applications. Kendall Tendersorb Wet-Pruf Abdominal Pad consists of three layers which are soft outer non-woven layer, fluff filler to absorb and disperse fluid and wet-proof moisture barrier to retard fluid strike-through. All four edges are sealed to prevent lint residue and leaking and prevents particulate matter from escaping, decreasing the possibility of wound contamination. Reilamed Absorbent Abdominal Pads with sealed end have soft, non-woven layer with absorbent fluff filler for utmost patient comfort. They are latex-free. Southwest Elasto Gel Sterile Cast and Splint Pads are designed to help prevent pressure sores and skin irritation that can develop under casts, splints, braces, orthotic and prosthetic devices. These pads are produced from a specially formulated hydrogel, which contains a natural skin moisturizer or conditioner. The gel absorbs moisture under casts, splints or other devices, and is most effective under porous casts or coverings. 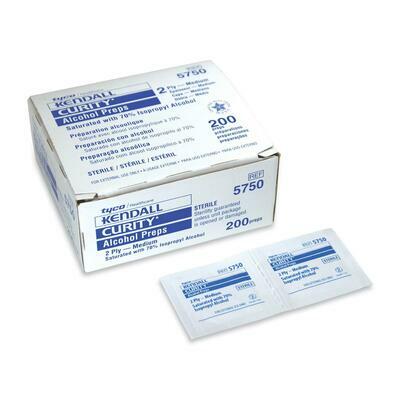 Kendall Curity Sterile Gauze Pads are made from 100 percent ring spun yarn which is highly absorbent and maximizes vertical wicking capabilities. Individual wrapping makes it easy to use. Perforated carton helps in easy dispensing. ConvaTec CombiDERM ACD (Adhesive Cover Dressing) Sterile Dressing is a occlusive dressing with a hydrocolloid adhesive and central absorbent pad, indicated for the management of low to moderately exuding chronic and acute wounds including pressure ulcers, leg ulcers, diabetic ulcers, abrasions, lacerations, biopsies, and open and closed surgical wounds. Kendall Webril 100 percent Cotton Undercast Padding is constructed of cotton fibers for soft and natural cushioning. Ideal for use with either synthetic or plaster casting material. It minimizes dimensional changes that lead to movement of padding under cast. Conforms to all body contours. Kendall Webril II 100 percent Cotton Undercast Padding is ideal for use with synthetic and plaster casting material. It prevent pressure points, minimize dimensional changes that lead to movement of padding under cast. It is constructed of 100 percent cotton fibers with crimped finish for extra loft and conformability. Available in a sterile blister pouch for postoperative casting applications. You are viewing the Reliamed Abdominal Pads, Sealed End, 8in x 7 5in, Sterile, 25 per Box manufactured by Reliamed, an industry leader in wound care supplies! We offer great wholesale prices and fast shipping for your Reliamed wound care products, each and every day! 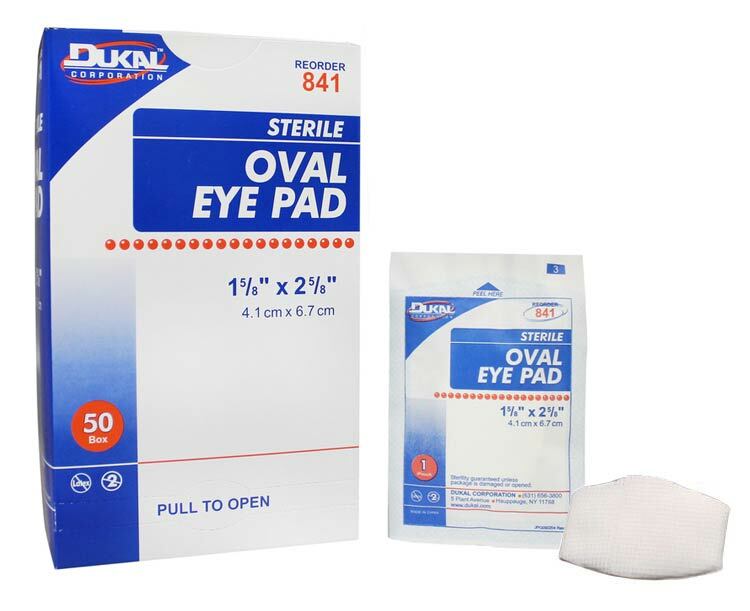 At Best Medical Supplies On Sale we offer only the highest quality products from the best manufacturers. We also pride ourselves in our top of the line customer service to not only assist you in choosing the right product to fit your needs but to also make sure you receive the attention after the sale that you deserve. So when you are looking for the best products at amazing wholesale discount prices be sure to browse our huge inventory that is shipped right to your home or business quickly. Blephaclean is a high tolerance cleansing lotion, for the daily hygiene of eyelids and sensitive skin and keeps the eyelids clean before and after ophthalmic procedures. For external use only. Preservative- free. Invacare 204509Three layer pad. Soft, non-woven outer layer, absorbent fluff filler and wet-proof moisture barrier. Similar to Tendersorb and Surgipad ABD. Sterile. Invacare 204810Three layer pad. Soft, non-woven outer layer, absorbent fluff filler and wet-proof moisture barrier. Similar to Tendersorb and Surgipad ABD. Sterile. Rusch RLA1023Self-contained intermittent catheter system is fully protected within its own closed sterile field. Significantly reduces the risk of infection. Pre-lubricated catheter and introducer tip. Fits in pocket or purse; no gloves required. Male or female use. Latex free. Rusch RLA1223Self-contained intermittent catheter system is fully protected within its own closed sterile field. Significantly reduces the risk of infection. Pre-lubricated catheter and introducer tip. Fits in pocket or purse; no gloves required. Male or female use. Latex free. Rusch RLA1423Self-contained intermittent catheter system is fully protected within its own closed sterile field. Significantly reduces the risk of infection. Pre-lubricated catheter and introducer tip. Fits in pocket or purse; no gloves required. Male or female use. Latex free. Rusch RLA1423OSelf-contained intermittent catheter system is fully protected within its own closed sterile field. Significantly reduces the risk of infection. Pre-lubricated catheter and introducer tip. Fits in pocket or purse; no gloves required. Male or female use. Latex free. Rusch RLA1423RSelf-contained intermittent catheter system is fully protected within its own closed sterile field. Significantly reduces the risk of infection. Pre-lubricated catheter and introducer tip. Fits in pocket or purse; no gloves required. Male or female use. Latex free. Rusch RLA1623Self-contained intermittent catheter system is fully protected within its own closed sterile field. Significantly reduces the risk of infection. Pre-lubricated catheter and introducer tip. Fits in pocket or purse; no gloves required. Male or female use. Latex free. Rusch RLA1623RSelf-contained intermittent catheter system is fully protected within its own closed sterile field. Significantly reduces the risk of infection. Pre-lubricated catheter and introducer tip. Fits in pocket or purse; no gloves required. Male or female use. Latex free. Rusch RLA1823Self-contained intermittent catheter system is fully protected within its own closed sterile field. Significantly reduces the risk of infection. Pre-lubricated catheter and introducer tip. Fits in pocket or purse; no gloves required. Male or female use. Latex free. Rusch RLA823Self-contained intermittent catheter system is fully protected within its own closed sterile field. Significantly reduces the risk of infection. Pre-lubricated catheter and introducer tip. Fits in pocket or purse; no gloves required. Male or female use. Latex free. Invacare 204124100% cotton gauze dressing sponges. Similar to J&J STERI-PAD Gauze Pad. 1 per pack. Sterile. 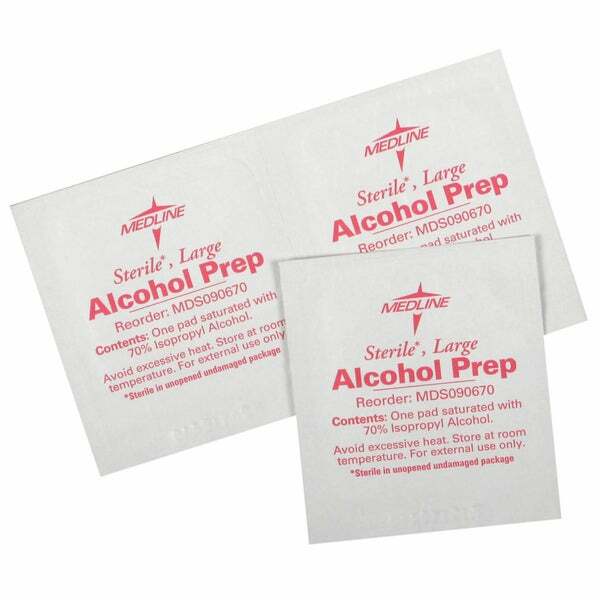 These sterile alcohol prep pads from Medline are used as a topical antiseptic. The soft, absorbent, non-woven pads are saturated with 70-percent isopropyl alcohol. The content on this site is not intended to substitute for the advice of a qualified physician, pharmacist, or other licensed health-care professional. The products may have additional information and instructions on or inside the packaging that you should carefully read and follow. Contact your health-care provider immediately if you suspect that you have a medical problem. The use of dietary supplements may not have been evaluated by the Food and Drug Administration and is not intended to diagnose, treat, cure, or prevent any disease or health condition.